Although there are only a few businesses between Weymouth and Surrey avenues that are operational at this time of year, two beauty parlors on either side of the street are open year-round, as is that Yama Japanese restaurant. 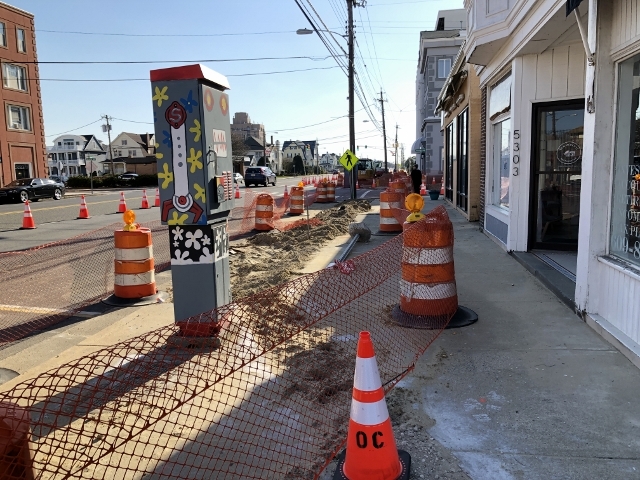 Ocean Construction, LLC of Marmora was awarded a $1.07 million contract in October to beautify the area with new curbs, corner bump-outs, sidewalks with brick pavers, streetlights, trees, tree grates, benches, bike racks, and boardwalk accents that enhance the business district. The project does not include paving of the roadway. 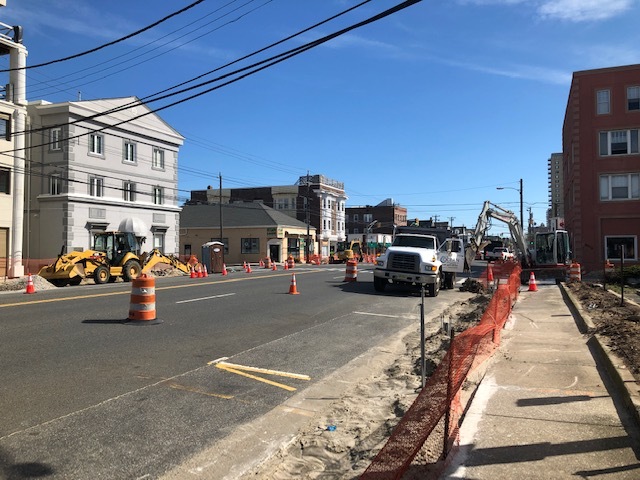 The project is being partially funded with an $800,000 grant from the Stronger NJ Streetscape Revitalization Program awarded in May 2017 for communities in the nine New Jersey counties most impacted by Hurricane Sandy. 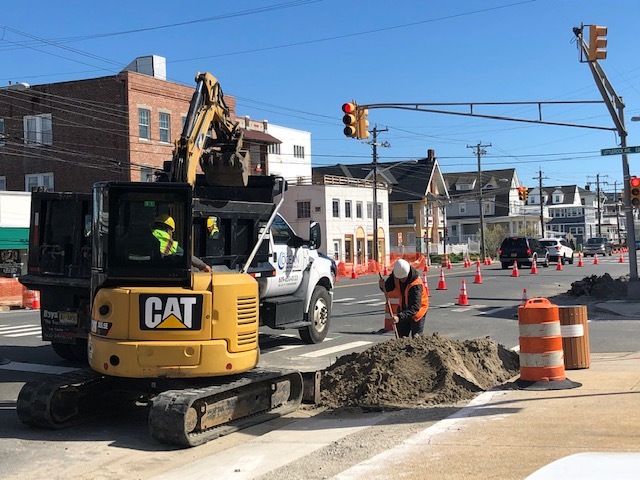 Ventnor was last in the pipeline to receive the HUD funds, which became available only after other projects across the state came in under budget. The remainder of the cost of the project is being funded through capital improvement bonds. 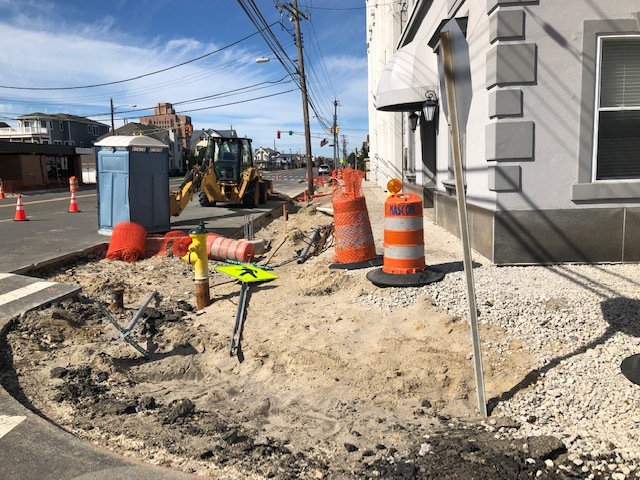 Although Commissioner of Public Works Lance Landgraf previously said the contractor would not be permitted to progress to the next block until the sidewalk installation is completed on the previous block, changes in the availability of workers has expedited the project and all three blocks are being worked on in earnest. Maria Ruiz, owner of Salon Pasarello, styles Aralee Bonet’s hair. Maria Ruiz, who has owned Salon Pasarello on the Ocean side of Atlantic Avenue for the last 15 years, is excited to know the neighborhood will be beautified. She said so far, the work has not affected her business. “When people want their hair done they will climb though windows if they have to,” she said Tuesday morning as she cut Aralee Bonet’s hair. 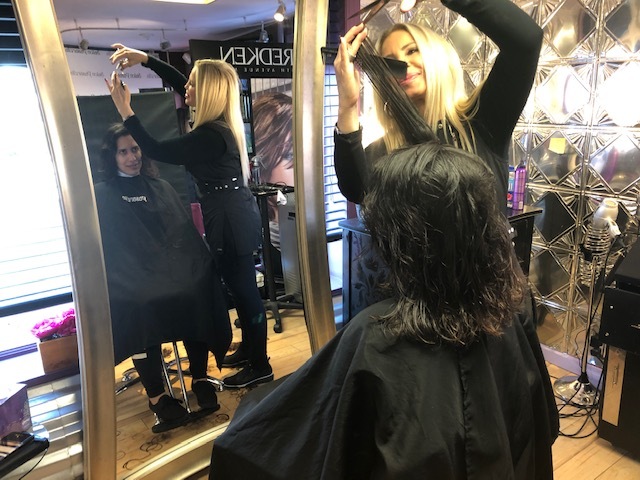 Vida, a stylist as Salon Oh, which is located across the street between Weymouth and Little Rock avenues, said last week the project hadn’t affected the business. “It’s not too loud or too much debris, it’s just that we don’t have any parking close to the shop,” she said. There are other businesses along the commercial area that are vacant, including where Sage and Lisa’s restaurants were located, and other businesses are seasonal. 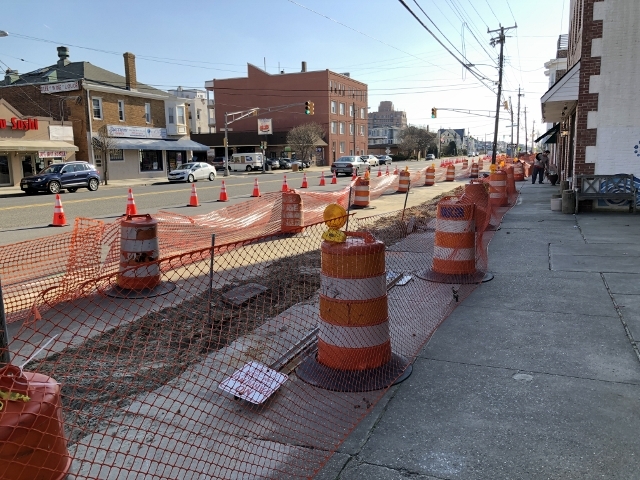 Ken Gao, owner of Yama Sushi on the corner of Victoria Avenue, said business slowed down once the sidewalks in front of the restaurant were torn up. The problem for his customers is a lack of parking near the restaurant, especially for those who drive to get their sushi fix. Because it’s the off-season, parking spaces are available on the side streets, but as Memorial Day nears, those spots will be filled by summer residents. Trees will likely be one of the last things to be completed. Stinson said Ocean Construction is required to complete the project by Memorial Day, but the drop dead date is June 15, he said. 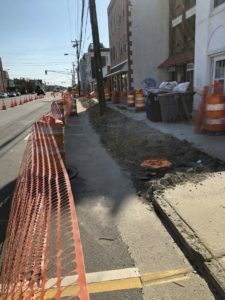 Installation of benches and other furnishings and landscaping may not be completed by then, but as long as they do not disrupt traffic or impede access to buildings, the remainder of the work can be done through summer, Stinson said.